Nationality: American. Born: Salt Lake City, Utah, 13 October 1918. Education: Attended San Diego Army and Naval Institute, Carlsbad-by-the-Sea; American Academy of Dramatic Arts, New York, 1938. Family: Married 1) the actress Jennifer Jones, 1939 (divorced 1945), sons: the actors Robert Jr., and Michael; 2) Barbara Ford, 1948. Career: Actor in New York; 1938—radio actor, with Jennifer Jones, for the Mutual station, Tulsa; 1939—film debut in Winter Carnival ; 1940–42—radio actor on Yesterday's Children , John's Other Wife , Against the Storm , and Myrt and Marge series; 1942—contract with MGM; 1948–49—hospitalized in the Meninger Clinic, Topeka, Kansas. Died: In Pacific Palisades, California, 28 August 1951. Linet, Beverly, Star-Crossed: The Story of Robert Walker and Jennifer Jones , New York, 1986. Obituary in New York Times , 29 August 1951. Newman, D., "People We Like: Robert Walker," in Film Comment (New York), May-June 1974. Katchmer, G., "Remembering the Great Silents: Forgotten Cowboys and Cowgirls pt. XV," in Classic Images (Muscatine), June 1991. Walker, R., "Scraps of Life," in Independent Spirit , no. 1, 1993. Robert Walker's skillful, mesmerizing performance as a psychopathic villain in Alfred Hitchcock's suspense thriller Strangers on a Train suggested a fruitful career change away from his previously established reputation as a modestly effective, boyish leading man. But it proved to be his penultimate film, as his death the following year ended a short-lived career that was plagued throughout by personal problems. After attending the Academy of Dramatic Arts in New York, marrying actress Jennifer Jones, snaring a few bit parts in movies, and appearing regularly on network radios, Walker signed a contract with MGM. 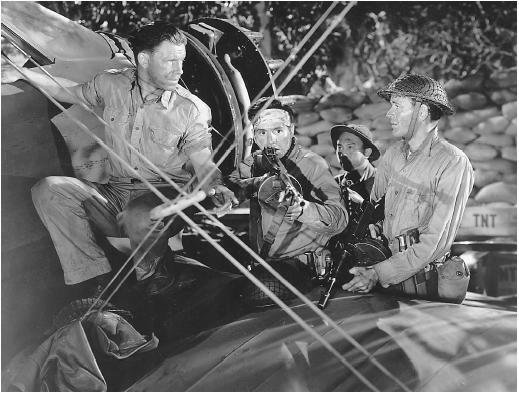 His first substantial supporting film role was in Tay Garnett's World War II drama, Bataan , playing a soldier—as he would many times in the early years of his movie career. Typecast as sincere and likable, he worked in support of Mervyn LeRoy's biographical epic Madame Curie and John Cromwell's World War II melodrama Since You Went Away , before ascending to the military lead in Wesley Ruggles's episodic film version of the best seller See Here, Private Hargrove . He then co-starred with Van Johnson in LeRoy's Thirty Seconds over Tokyo , played the shy, soldierly male lead opposite Judy Garland in Vincente Minnelli's nonmusical romance The Clock , starred as the apex of a romantic triangle involving Hedy Lamarr and June Allyson in Richard Thorpe's Her Highness and the Bellboy , and reprised his first starring role in Thorpe's sequel, What Next, Corporal Hargrove? He further starred as the songwriter Jerome Kern in Richard Whorf's Till the Clouds Roll By , and supported Spencer Tracy and Katharine Hepburn, playing their son in Elia Kazan's unsuccessful Western The Sea of Grass . Several more also-ran films, a second broken marriage (to director John Ford's daughter), a drinking problem, and a nervous breakdown all but gutted his ailing career. In Strangers on a Train , however, he temporarily resuscitated his reputation with a splendid performance as Bruno Anthony, one of Hitchcock's most colorful, memorable, and effective villains. As the pivotal character, he plays a fey, manipulative, murderous, yet mysteriously appealing and even ultimately sympathetic, antagonist. Casting him against type, Hitchcock had tapped the complex emotional undercurrents of Walker's life. The following year, the actor took a second step toward the dramatic modification and revitalization of his movie persona. In Leo McCarey's Cold War melodrama My Son John he played a son suspected of being a Communist by his reactionary parents. However, footage from the final sequence in Strangers had to be borrowed for a second consecutive final-reel death scene—this one posthumous.